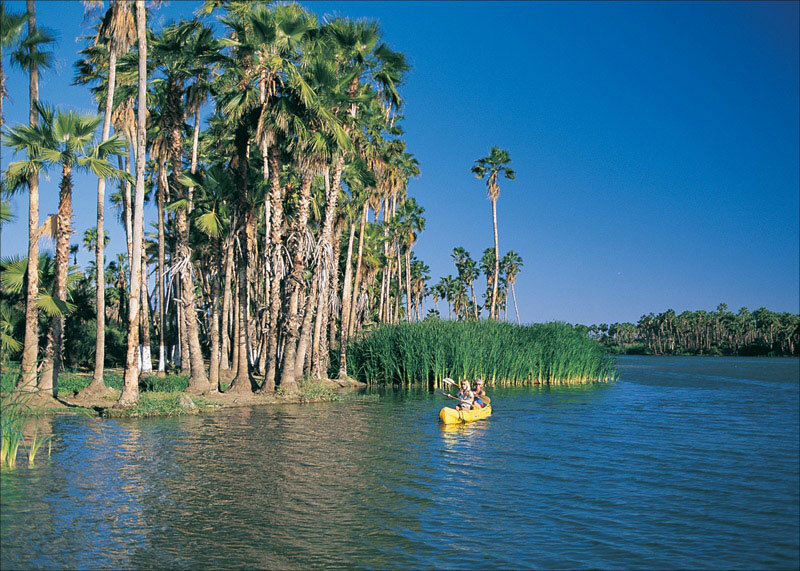 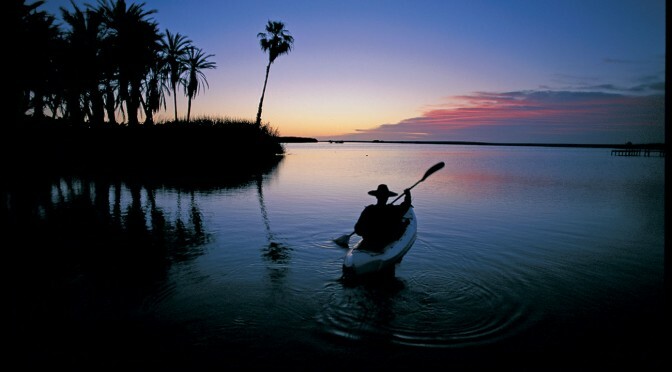 The estuary was called Aguada Segura, or certain watering place, by the Spanish sailors and was the only fresh water source in the southern part of the Baja California Peninsula. 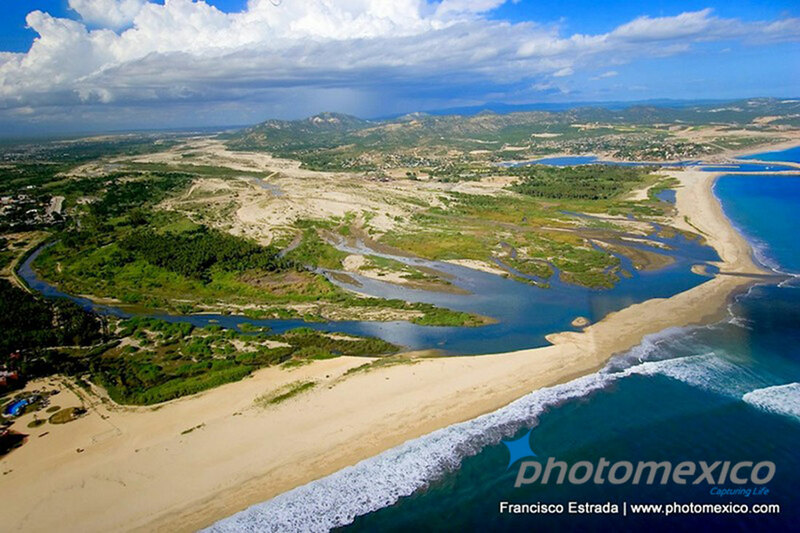 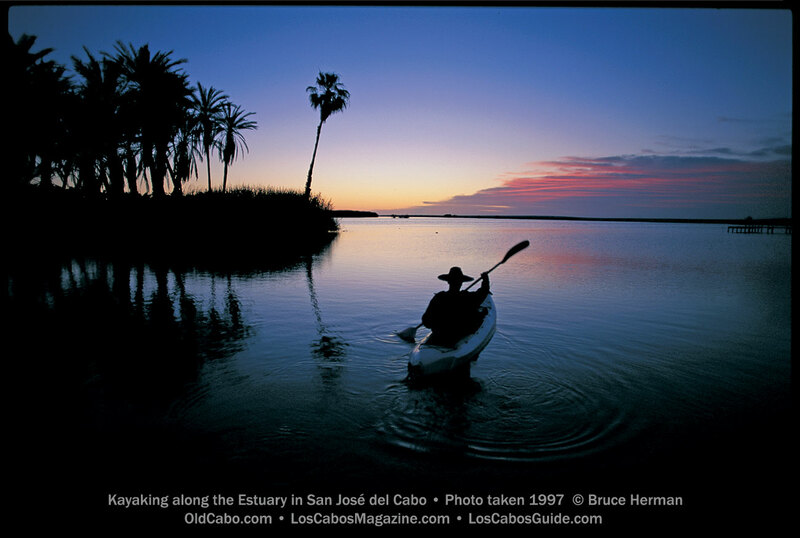 The fresh water Estuary in San Jose del Cabo. 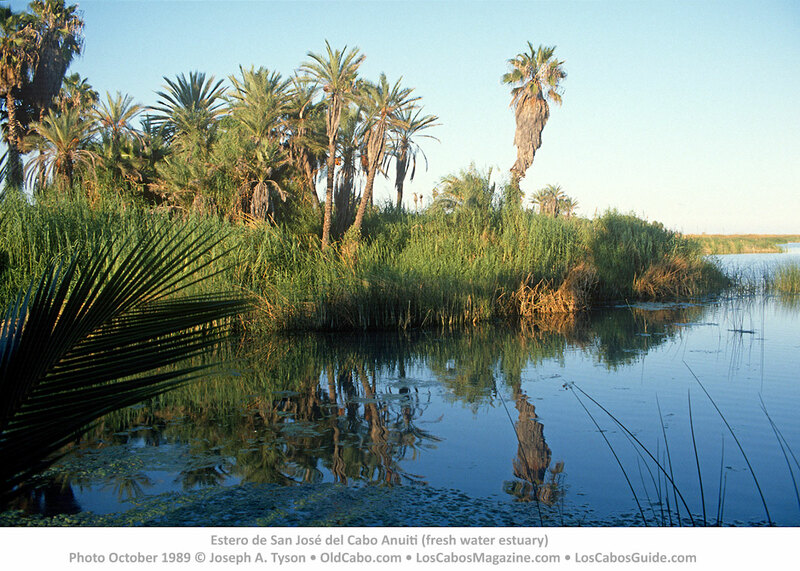 Estero de San José del Cabo. 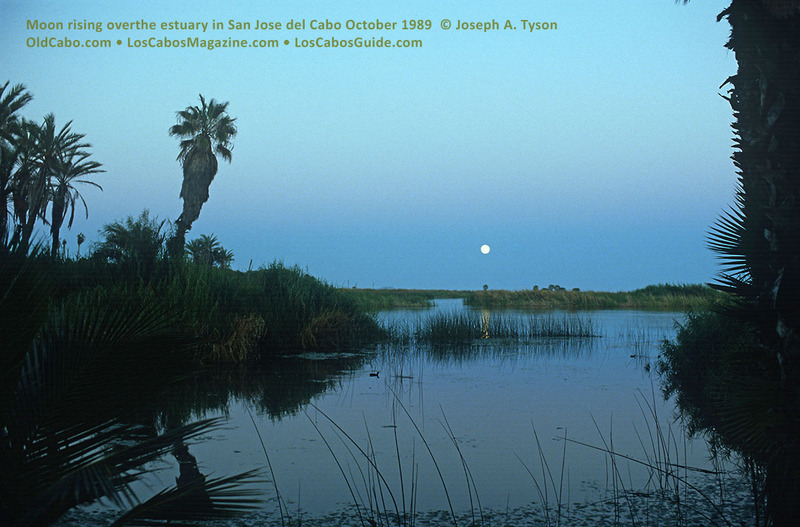 Photo taken October 1989 by Joseph A. Tyson.